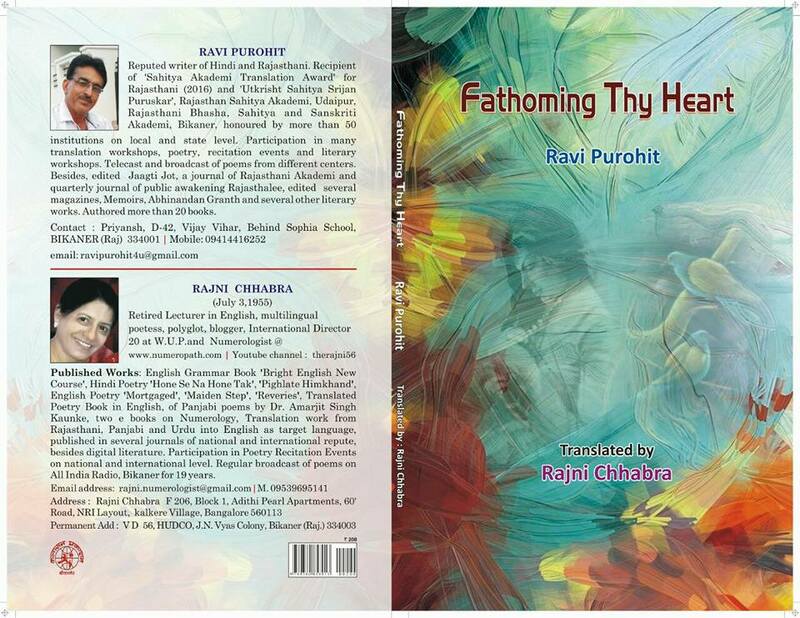 Going through the translated poetry collection by renowned litterateur Ravi Purohit “Fathoming Thy Heart” makes me actualize the olden times as if the poet moves carrying the love-odes in the palanquin of words like muslin threads, abysmal into the dictionary of soothing emotional dives. The intricate sentiments perhaps are a bundle of sensitivity mixed with pure hearted airtime call for his beloved who is around in his breath and aura existing like the air, like the water, like the fire with a cool sense of dedication along with the awaiting dreams whom he is looking to make true in the worldly senses. The reader gets fully engrossed into the balsam of moon light where the poet is remembering his beloved and wants to tarnish all boundaries by being a forceful meteorite…’in the pretext of her memories’. 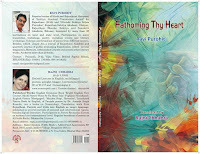 Authoured originally in Rajasthani by Ravi Purohit and translated in English ‘Fathoming Thy Heart’is encompassing a whole world in itself where the poet is fascinated by his own craving to be one with his soul - mate who has perhaps caught hold of the sinking nerve of the author while he pleads "O! My beloved, you have taken hold of dusky sun of my life." 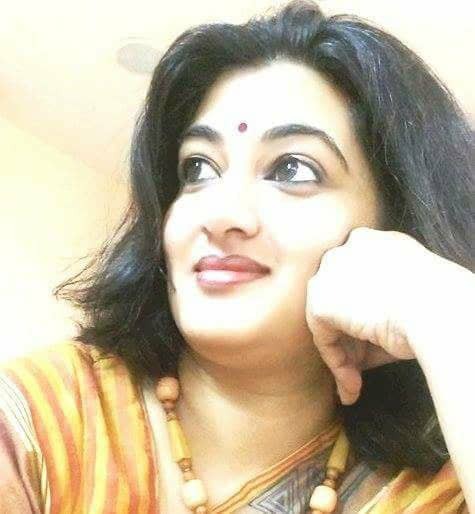 The translated work by Rajni Chhabra is quite close to the original work as I could get the priviledge of going through the original Rajasthani as well as the translated version of the work. The 'feel' has found its way in the bestest effort to reach its zenith in the work in my hand. The version is splendid by all ways and means and depict upto great extent the spellbound emotions penned by the author in his mother tounge. The poet inexhaustibly remains engaged in inscribing his beloved’s name on his palm, but fails and the pain turns afresh of the wounds of his heart as the droplets of blood spill around reflecting the image of his beloved all over. The imagery used in the expression is perfect when he ventures into every message of his mobile just to feel the presence of his beloved, perhaps there, if not around him therein. The extended arms of his beloved make the poet nostalgic of adorable moments; he is forcing himself out of the marshes of worldly boundaries to meet the fragrance of his love circumambulating the temple of his imaginations with the idol of purest of the pure and divine breezes of assured meeting with her. The poets dives and probes into the turbulent waters of sensitivity declaring himself that "The more I land, the more I settle down very deep, fathomable at times and at times unfathomable too, I am in state of anxiety due to fiery flames in my heart." He guarantees in himself that ‘Craving is strong, firm is determination.. that we will unite in this world only’. The poet is close to nature while depicting his beloved in the cuckoo’s call, hopeful sparrow, smiling khejri, month of rains….probably where the sun of aspirations rises. The beauty of the collection is imbibed in the pretty corners of the pink handkerchief with the poet’s beloved’s name crafted upon and an abhorrent fight against the furnace of this world which the poet acrimoniously want to shatter and squeeze with reddened eyes waiting long for his beloved. The poet is almost drowned into the intimate moments of imagination of love with his beloved when the moon arrives and sits, uninvited subconsciously on his bed making him feel the embrace and warmth of her hug, and the same circulating like blood mingled in his physique making an echo of thy touch with his veins of the deepest core of his heart. The poet's restless plead to 'her' reflects his ecstasy to get her as his soul - mate, desiring her to be his partner for births and ages when he pens "Now, you only guide me my mate, how to write you in my destiny?" Can’t stop myself writing that the ‘Amarlata’ is the poet’s pen which inscribes the eternal love and utmost similar feel through his words into the worldly ocean of barrenness, sowing the seeds of hopefulness and deepest feel embossed upon his heart like eternity, infinite as his soul’s craving for his beloved which brings accolades to the poet for the admirable collection which appears more like an albatross in the ocean of hatred all around in present scenario.